We will. But we’re def being outshined by Steel Curtain. Was just hoping to see them promoting both. I think It’s a huge deal for them to have two of the biggest headlining coasters of 2019. ^ I hope Maxx Force's trains look as cool or even better than Steel Curtain's. I’m hoping for one red/black train & one yellow/black. I’m thinkin that would be sleek. But I’m sure they’re both gonna be red. I’m so frickin excited about this ride regardless of it somehow flipping us upside down 5 times in 24seconds. You all saw how cool Steel Curtain's trains were I think ours will be better in capacity and looks. Steel Curtain will only have 2 trains and Maxx Force will most likely only have 2 trains but look at this. Steel Curtain's trains are 2 per row. Well remember this picture below. 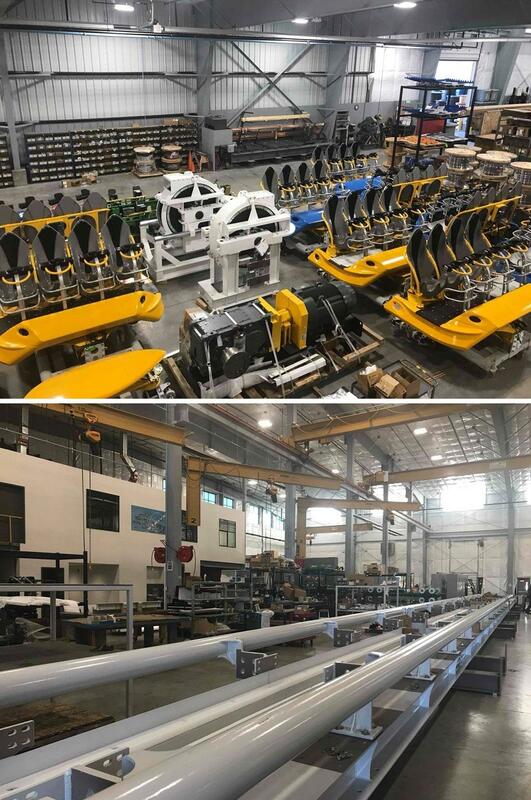 These trains are 4 across so maybe if these are Maxx Force's trains they will be 4 across and have lap bars!!! Also in the first picture look behind the train. There is some lovely Maxx Force track behind it. ChicagoCoasters wrote: You all saw how cool Steel Curtain's trains were I think ours will be better in capacity and looks. Steel Curtain will only have 2 trains and Maxx Force will most likely only have 2 trains but look at this. The Maxx Force trains are 2 across and will have a race car theme like in the animation. The trains will be very similar to the ones that were on Ring Racer. Let’s hope this ride has more success than RR did! Animations aren't always right. Look at Goliath or Twisted Cyclone. Sometime manufacturers make changes to the design. So you never know. Last edited by ChicagoCoasters on November 23rd, 2018, 1:18 am, edited 1 time in total. ChicagoCoasters wrote: Animations aren't always right. Look at Goliath or Twisted Cyclone. Sometime manufacturers ma's tower's to the design to. So you never know. They don't change the train design from the animation. That train in the picture is heading to an Asian park. Guess who finally showed up!!! OMG!! I'm so excited to see more come in!! Whoo!! Can’t wait to see it start comin together. This is one of the pictures I took yesterday... couldn't get much closer as there was a police officer near the track, keeping people away. I wasn't going to push my luck. Are there footers in the ground yet for the coaster? I remember the photos of the metal casings for the footers but have they actually poured any of the footers yet? Wishing there was or will be somewhere to watch this thing launch. I’m sure it wouldn’t be the TTD grandstands but something along those lines would be nice. I'm hoping it'll be visible from the line or from the exit path/ramp. Here is an interesting interview with the designer of Maxx Force, Joe Draves from Ride Centerline. Is the track still in the parking lot? ChicagoCoasters wrote: Is the track still in the parking lot? Yeah, saw it there today. staticshadows wrote: Here is an interesting interview with the designer of Maxx Force, Joe Draves from Ride Centerline. Well thank you Jerry for shining a light on our coaster! Glad he was there to ask about it. Thanks! Wow, this is so informative considering the speculation on this forum last August. I thought for sure the launch would head into the Pictorium site, then to hear all of the accommodations for the narrow track of land and for the train. And now we know it will begin to brake halfway through the dive loop, but that's the element the designer himself seems most interested in. Thanks Static Shadows. Joe Draves mentioned in the CF interview that Maxx Force is as an aggressive design as S&S was comfortable producing. In other words, Maxx Force is going to be 20 or so seconds of extreme intensity. I saw that most of the footers for Maxx Force have been poured while on Raging Bull yesterday. Can't wait for vertical construction! That's so cool to see. Any vertical construction yet?